It doesn’t matter if you’re planning a wedding, a birthday celebration, or a holiday party, the best way to put together a memorable event is with the right caterer. From soul food to classic and contemporary options, here are the 10 best caterers in Missouri. Folks in the greater KC area will be sure that their guests’ palates are pleased when they use Scrumptious Catering for their events. All menu items are freshly prepared for the events, but as a matter of pride, Scrumptious Catering ensures that all of their delicious food is affordable. For half a century, Hendri’s Events has made certain that wedding and party guests in St. Louis left the event with big smiles and full bellies. Their experience allows Hendri’s to create and tailor an event to your vision, no matter how casual or chi-chi it may be. In Springfield, event planners and party throwers rely on As You Like It Catering to feed their guests. Capable of any type of meal—“from home cooking to haute cuisine”—As You Like offers up a set menu or will happily work with you to design a customized dining experience for your guests. 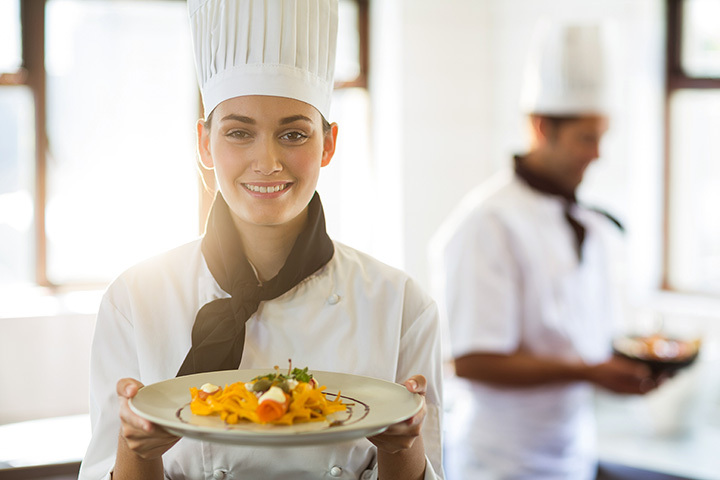 Inspired by innovation and creativity, but driven by professionalism, Artistic Affairs Catering has become one of the more sought-after caterers in Greater St. Louis. Their considerable experience and dedication to quality food and ingredients ensures that your guests will be delighted. Happy Chef Catering makes certain that events in the heart of the Ozarks are punctuated with delicious cuisine. From hors d’oeuvres to five-course meals, Happy Chef offers a wide variety of menu options that can be customized and combined into a meal that will be remembered. From the state capital to Lake of the Ozarks, folks know that Argyle Catering will put smiles on their guests’ faces. Argyle offers a good selection of appetizers and desserts, as well as a list of lunch selections and delectable dinner entrees that can be designed to delight guests at your event. Columbia’s Peachtree Catering can help brighten an boring business meeting with a delicious boxed lunch or buffet spread. More than two decades in the business means that Peachtree has refined their cuisine and techniques to ensure that your guests are treated to great tastes. Whether you’re feeding guests at a corporate function or a college graduation, a wedding or a wine tasting, in Kansas City, Blue Pot Catering will make it delicious. For over 10 years, they’ve used fresh and seasonal ingredients to design scratch-made menus for all manner of events. Party guests in the Ozarks region appreciate Catering Creations’ hearty, “home cooking away from home” style. Party hosts enjoy their customizable menu selections that allow you to mix and match entrees, appetizers, and desserts to create a memorable event. Gourmet Soul’s catering menu contains the cuisine that typifies Missouri: From barbecue and beans to catfish and corn. For functions where guests won’t mind licking their fingers and using plenty of moist towelettes, Gourmet Soul’s food is sure to satisfy.